Boring sundays? In El Zoco Sunday Market they’ll become superb!! 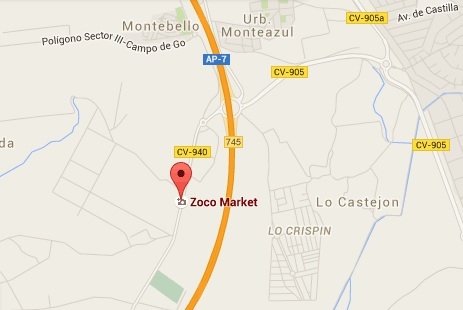 El Zoco Sunday Market encourages you to enjoy the stands and the multiple products, handicrafts and many other interesting things. Also, several traditional activities, manufacturing and tasting foods and street shows will enliven your visit! Every sunday from 8:00 to 15:00. Mercadillo dominical con todo tipo de productos y servicios. ¡Visítanos, pasea por nuestras calles y descúbrelos! Abierto todos los domingos del año. Abrimos tooooodos los domingos del año. We open every Sunday of the year.